A user-friendly guide to understanding negative reinforcement in dog training – and the three alternatives you should know about. If you are new to dog training, or want to understand some of the language of dog training, this article is for you. 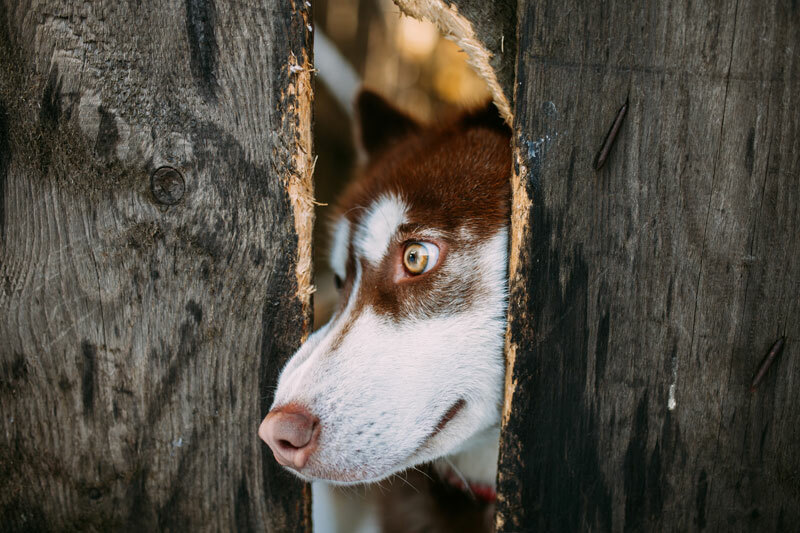 It covers the technical definition of negative reinforcement in dog training, examples of how it is used, what research tells us about negative reinforcement, and alternatives that you can use instead (along with some common mistakes people make, so you know how to get it right). This article is part of a series of guides that also covers positive reinforcement and positive punishment in dog training. Let’s start with the technical definition. 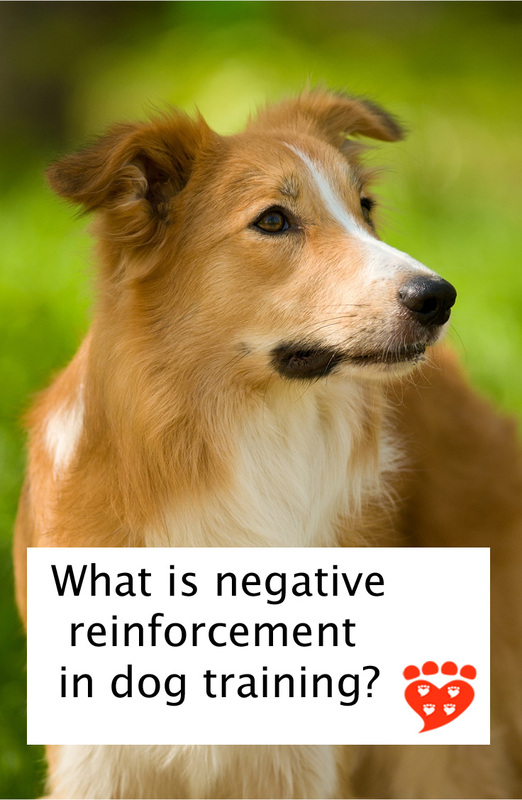 Negative reinforcement is one way to train dogs (and other animals). Negative reinforcement means taking something away that increases or maintains the frequency of a behaviour. The ‘negative’ part refers to something being removed, and ‘reinforcement’ means the behaviour went up in frequency. (If it instead occurred less often, it wouldn’t be reinforcement). So what kind of thing can you take away to make a behaviour more likely to happen? Something that is unpleasant and which the dog does not like. One example of negative reinforcement is when the dog’s bottom is pushed to force the dog into a sit, and then released once the dog is in a sit. 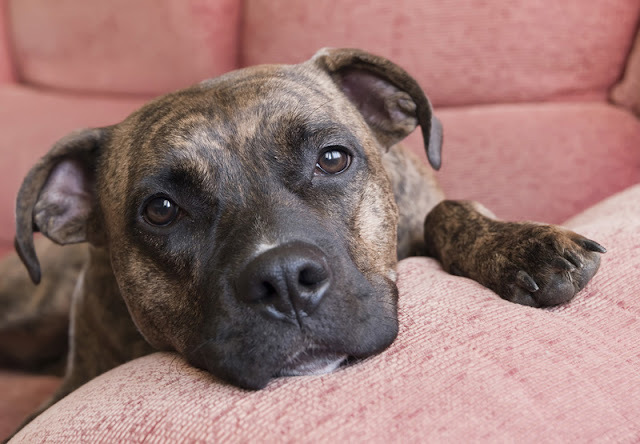 Assuming the behaviour of sitting goes up in frequency, the behaviour was negatively reinforced by the removal of the pressure on the dog’s rear end. Another example of negative reinforcement involves applying an electronic dog training collar until the dog does the behaviour you want – let’s say it’s ‘sit’ again. As soon as the dog sits, the shock is turned off. The thing that is removed is the unpleasant sensation from the shock collar, and the behaviour of ‘sit’ is more likely to happen and hence has been reinforced. (Note that not all electronic collars allow for this type of training. Some models will apply the shock for a fixed time of 11 seconds after the button is pressed; read why there are calls for shock collars to be banned or about a study of using shock collars for recall training). Another example of negative reinforcement is sometimes used when working with a dog that is afraid, e.g. of other dogs. When another dog is close by, the handler waits until the dog offers a particular behaviour (such as looking at the handler) before allowing the dog to move away. Here, the behaviour of looking at the handler after seeing another dog is being reinforced by taking away the scary situation of being too close to another dog. I’m not suggesting these are good ways to train your dog. In fact we’ll get to some alternatives in a moment. In order to use negative reinforcement, something aversive has to be applied first so that it can then be removed contingent on the dog doing the behaviour you are teaching. Let’s say you’re teaching sit. Typically what happens is that whatever behaviour the dog was doing before the sit – let’s say, standing – goes down in frequency and is replaced by the sit. Technically speaking, in this scenario the behaviour of standing is positively punished (read more about positive punishment). Unfortunately, applying an aversive – such as an electronic shock or pressure on the dog’s neck or body – has risks for the dog’s welfare. 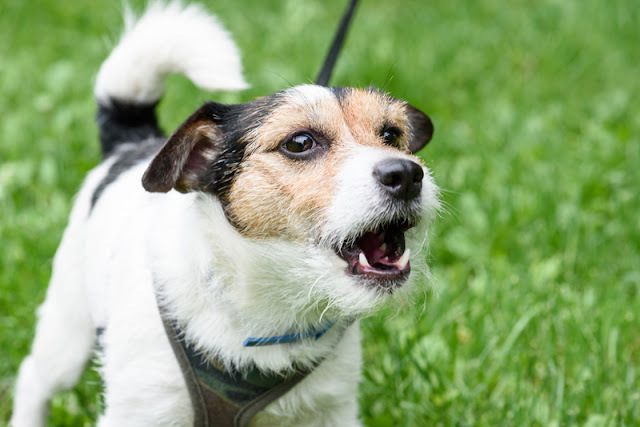 Research shows that using aversive methods in dog training is associated with an increased risk of fear and aggression, and may even be less effective. It’s better to use reward-based methods (see more on why more people don’t use positive reinforcement to train dogs). Most of the research on dog training methods has focussed on comparing reward-based methods to aversive methods. For example, in a 2014 study of aggression in dogs, the use of positive punishment and/or negative reinforcement was associated with an increased risk of aggression of 2.9 times for aggression towards family members, and 2.2 times towards unfamiliar people outside of the house (Casey et al 2014). In this study, barking, lunging, growling and biting were all considered to be aggression. But there is one study that looked specifically at the use of negative reinforcement in dog training (Deldalle and Gaunet, 2014). This study compared dogs taking an advanced dog training class at two different schools: one that used positive reinforcement and one that used negative reinforcement. The dogs had already completed a basic dog training class at the same school. Negative reinforcement was used to teach loose leash walking by tugging on the leash while the dog was at a distance from the owner, and stopping tugging when the dog was close by. Sit was taught by both pulling the leash up and pushing the dog’s bottom down and only releasing when the dog was in the sit position. At the other school, positive reinforcement was used to reward the dog for doing the right behaviour. The study concludes that training dogs with positive reinforcement is better for the human-canine relationship than using negative reinforcement. As mentioned above, negative reinforcement is sometimes used when the dog is afraid of something. Unfortunately in this case negative reinforcement involves keeping the dog in a situation where they are afraid until they have done the required behaviour. There is a risk of sensitization (making the dog more afraid) or flooding which can cause learned helplessness (in everyday language we might describe this as being “shut down”). Besides which, it violates the principle that the first priority with a scared dog is to help them feel safe. There is no need to put your dog in a situation where they feel fear in order to train them. While we still need more research on dog training methods, it is better not to risk negative effects if we don’t need to. Many professional organizations recommend the use of reward-based methods (see: seven reasons to use reward-based dog training methods). So what are the alternatives to negative reinforcement? There is more than one alternative to negative reinforcement, depending on the situation. As you can guess from the previous section, one of the alternatives to using negative reinforcement is to train with positive reinforcement instead. This is a great choice for teaching obedience behaviours like sit, lie down, and loose leash walking. A common mistake is to use something the trainer thinks will be reinforcing but which the dog doesn’t particularly care about, like praise. That’s why I suggest to anyone new to dog training to use food to train their dogs (for more information, read the ultimate dog training tip). When teaching loose leash walking with positive reinforcement, you may also find it helpful to use a no-pull harness. This is a harness with a clip on the front designed to prevent pulling (note that some harnesses have a clip on the back and are designed to facilitate pulling instead – don’t accidentally get the wrong kind!). A no-pull harness is not harmful and does not compromise dogs’ welfare (Grainger et al 2016). (Some dogs with body handling issues may need a gradual introduction to having the harness put on and lots of yummy treats to help them learn to like it). But what about when we’re not teaching basic obedience? You may remember one of the examples above relates to using negative reinforcement when the dog is afraid, and the aversive stimulus is the thing the dog is scared of. 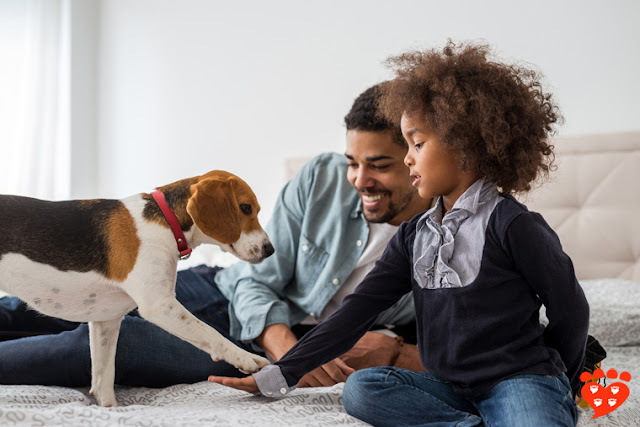 If the dog is afraid, then you have two great options: positive reinforcement to teach a different behaviour (which dog trainers call DRI, or differential reinforcement of an incompatible behaviour); or counter-conditioning with or without desensitization. Let’s stick with the example of a dog that is afraid of other dogs. In the negative reinforcement case, the dog was being asked to look at the handler before being allowed to move away from the other dog. If we use positive reinforcement instead, we would not get close enough to the other dog for our dog to be scared; instead, we would stay at a safe distance (from the dog’s perspective, even if that’s an inconveniently long way away). 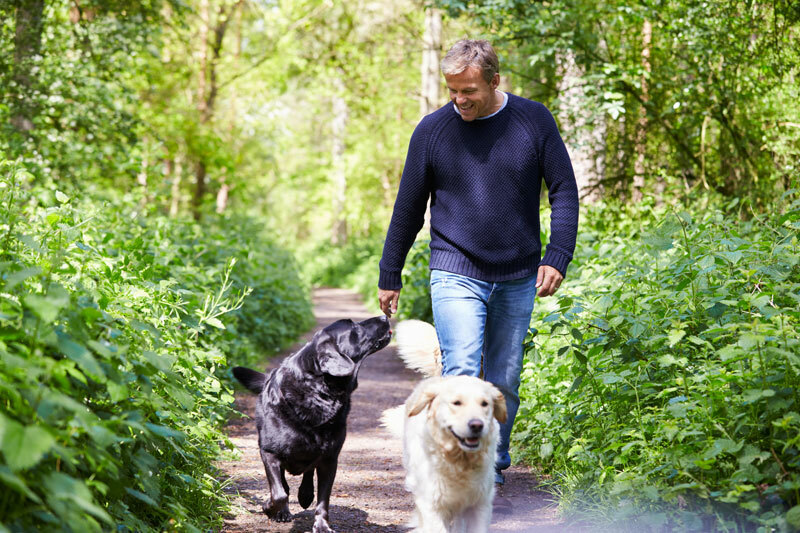 We could still use the behaviour of looking at the handler; every time the dog sees another dog, you encourage him to look at you and reinforce with some good food. Over time, the cue could be seeing the other dog so that any time your dog sees another dog, he will look to you for his piece of food. If, every single time he sees another dog, you ask him to look at you and then reinforce that behaviour, what will happen over time is that your dog will begin to learn that seeing another dog is a good thing, and this is actually a classical conditioning side effect. So now let’s look at the counter-conditioning option. Counter-conditioning is a type of classical conditioning. You would not get close enough to the other dog for your dog to be scared, but would deliberately stay at a safe distance where your dog is happy and comfortable. Every time another dog is in sight, you would give your dog yummy food. He doesn’t have to do anything in order to get the food, just realize that the other dog is there. What you are trying to do is change the association, so that your dog learns other dogs are a good thing because they predict yummy food. Even though one of these is operant conditioning (positive reinforcement) and the other is classical conditioning (in this case, counter-conditioning) there are some similarities. In both cases you’re hoping eventually to change the dog’s feelings about something scary, it's just that one method focuses on this aim while with the other method it's a side-effect. In both cases it is important to keep your dog at a safe distance where they don’t feel scared, otherwise you risk undermining your training (and perhaps accidentally using negative reinforcement). And in both cases, your dog will get food (or another great reward such as a quick game of tug). It’s just that in the positive reinforcement option they will have to do something to earn the food, and in counter-conditioning they don't have to do anything; the food happens because another dog appeared. For more tips on fearful dogs, see eight tips to help fearful dogs feel safe. A common mistake is to push things too fast and to accidentally go ‘over threshold’ – in other words, put the dog in a situation where they are in fact scared. If this happens, move quickly back to a safe distance, and resolve not to let it happen again. You may also need to brush up on your skills at reading canine body language, which is nothing to be ashamed of as it takes time and experience. We all keep on learning from the dogs we spend time with. 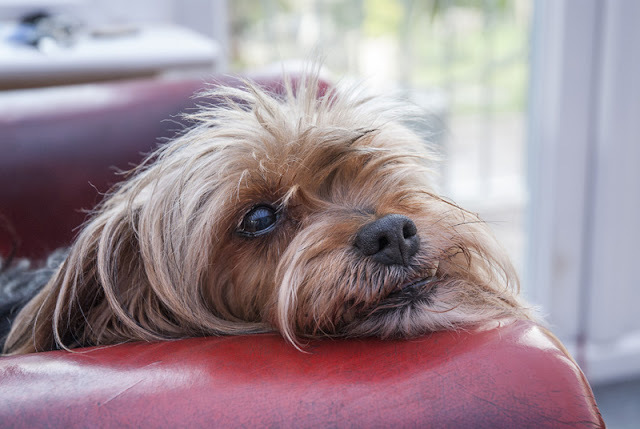 For more on the signs of fear, anxiety and stress, see how can I tell if my dog is afraid? You might also like the website iSpeakDog; and there is also a great book called Canine Behavior: A Photo Illustrated Handbook by Barbara Handelman. You might also like to read about the role of experience in recognizing fear in dogs. Another common mistake with the DRI option is to make it too hard. You actually need to make it really easy for your dog because you want them to earn the treat every time so as to start getting a classical conditioning side effect. The behaviour doesn’t have to be 'watch me', it could be 'leave it' or 'sit' or a nose-touch or something else instead. Just make sure to keep it nice and easy (which may include practicing at home first). Another common mistake is not being ready to give the food fast enough. If you’re using the DRI option, you should feed as soon as the dog has done the behaviour requested. If you’re doing classical conditioning, you should feed as soon as your dog sees the other dog. Either way, you need to have your treats ready, hidden on your person (in a pocket or bait bag), and be paying attention, so you get your timing right. Whichever approach you are using, use food rewards that your dog really likes, and don’t be stingy, because that would be another mistake. Which is the best approach, DRI or classical conditioning? Which of these two techniques works best? We don’t know. Both approaches work! I don’t know of any research which investigated which is the best option in a real-life dog training situation. With both techniques, it is important to go at the dog’s pace, so the speed of learning is the one that the dog is comfortable with. With the DRI option, the dog learns a new behaviour and gets a classical conditioning side effect. With the classical conditioning option, often you will find that the dog learns a new behaviour too (called a superstitious behaviour), such as looking at your bait bag after seeing the other dog, because they have learned that seeing the other dog predicts food and that’s where the food will come from. One reason you might choose desensitization and counter-conditioning over a DRI is when you don't have control over the scary thing, whatever it is. In our example, if other dogs are popping up all over the place (which is a common problem), you might find your DRI keeps being too hard, which means your dog is not able to earn the treats in the presence of all the other dogs, undermining your classical conditioning side-effect. In this case, you could find somewhere else to train where things are a lot more predictable, or just decide to start with counter-conditioning instead. Another reason you might choose desensitization and counter-conditioning is if your dog is actually very afraid, rather than a mild fear. In this case, it's probably better to concentrate your efforts on gradually developing a positive conditioned emotional response (counter-conditioning). If your dog is fearful and you are concerned, see your veterinarian in case medication and/or referral to a veterinary behaviourist is advised. I find that some people seem to have a natural preference for either operant or classical conditioning, so if this applies to you and both approaches seem suitable, then you can let your own preference guide you to the approach you prefer. If you need ideas for treats to use in training, see the best dog training treats. Working with a reactive dog can be tricky. If you need some help, check out the web page CARE for reactive dogs, which clearly explains how to use desensitization, counter-conditioning and positive reinforcement when working with a reactive dog. If you have a fearful dog, you might like the website fearfuldogs.com. The associated Facebook group is a friendly place to ask questions about helping your dog. And if you need help, find a good dog trainer to work with you and your dog. And look out for for some more relevant posts coming here soon. You might also like: Can dog training books be trusted? and dominance training deprives dogs of positive experiences. And if you want to delve into the scientific research on dog training methods, check out my dog training research resources page. What is your favourite dog training technique? It's Me or the Dog: How to Have the Perfect Pet by Victoria Stilwell. The Power of Positive Dog Training by Pat Miller. Culture Clash and Train Your Dog Like a Pro by Jean Donaldson. The Cautious Canine-How to Help Dogs Conquer Their Fears by Patricia McConnell. Don't Shoot the Dog: The New Art of Teaching and Training by Karen Pryor. Canine Behavior: A Photo Illustrated Handbook by Barbara Handelman. From Fearful to Fear Free: A Positive Program to Free Your Dog from Anxiety, Fears, and Phobias by Marty Becker, Lisa Radosta, Mikkel Becker and Wailani Sung, edited by Kim Campbell Thornton. 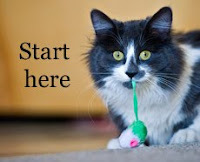 For more posts like this subscribe to Companion Animal Psychology. Deldalle, S., & Gaunet, F. (2014). Effects of 2 training methods on stress-related behaviors of the dog (Canis familiaris) and on the dog–owner relationship. Journal of Veterinary Behavior: Clinical Applications and Research, 9(2), 58-65. I have a dog human team in training for loose leash. It's exactly the way u describe: Every time the dog pulls the owner stops is leading to a dog coming back and waiting but not regarding/looking at the owner. I started out with reinforcing any movement to the owner using clicker. This worked. Unfortunately the owner doesn't seem to be capable of reinforcing or being motivating to the dog. In training, the owner does as I tell and show. Once the session is over, she falls back. It's like talking to wallpaper. Frustrating. Years of traditional dog schools burned in that client aged over 60 yrs.